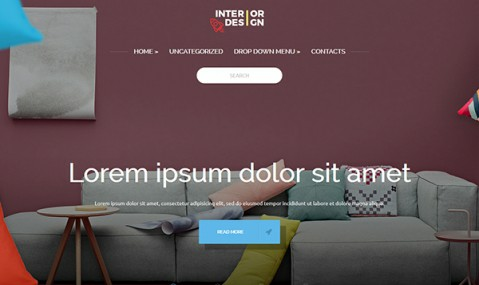 Captivate you reader with a stunning InteriorDesign premium WordPress theme from LeThemes. The theme that keeps enthralled the entrire eternity. What else can be more needed when you create a website for your creative agency or home interior company? The coloful design of InteriorDesign allows to manage all the elements and build a new appearance for your site with just a coulple of clicks on the front end. Is that a joke? No! This is your opportunity to decorate a web page with the use of high technologies of our age.